This Medieval and Tudor manor house is an absolute gem. Inside, there is a fine example of a medieval kitchen; and an Elizabethan long gallery – the most modern room in the house! The exterior walls are adorned with climbing roses and there is a beautiful terraced garden. 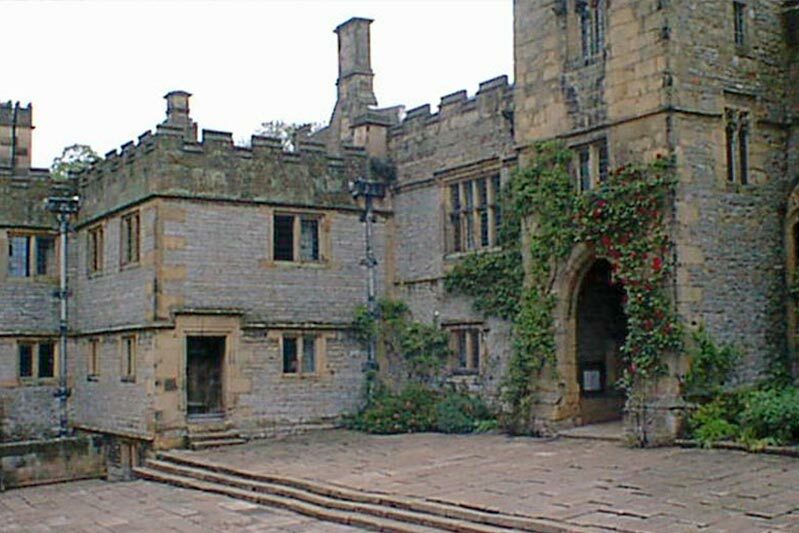 Haddon Hall is a popular choice as a film and TV location. A restaurant and gift shop complete the visitor’s experience. Our holiday cottages make an ideal base for a trip to Haddon Hall or Chatsworth. There’s The Escape, a luxury 5 bedroom holiday cottage in Derbyshire with hot tub – sleeps 10, or you can visit our home page to see our other holiday cottages in the Derbyshire Peak District with hot tub near Haddon Hall.